When Driving Mexico there is one fundamental rule: EXPECT THE UNEXPECTED vs. what you are accustomed to. When Driving In Mexico most accidents involving visitors to Mexico are a result of the visitor not expecting or anticipating an unaccustomed, sudden change in traffic or road conditions. For a list of maps and driving directions to destination in Mexico visit our Mexico driving maps and driving direction section. When Driving Mexico speed limits are stated in kilometers (1 mile = 1.6 kilometers). Be positive your vehicle is in top mechanical condition when Driving In Mexico, especially the suspension and tires. When Driving In Mexico watch for "Topes," the famous Mexican speed bumps. They are frequently unmarked. If you don't have a turning lane, don't make left turns off major highways if traffic is coming up behind you. If you are hit from behind while Driving In Mexico, it is your fault. When Driving Mexico Don't rely on brake lights on the vehicle in front of you as the only warning it is slowing down. 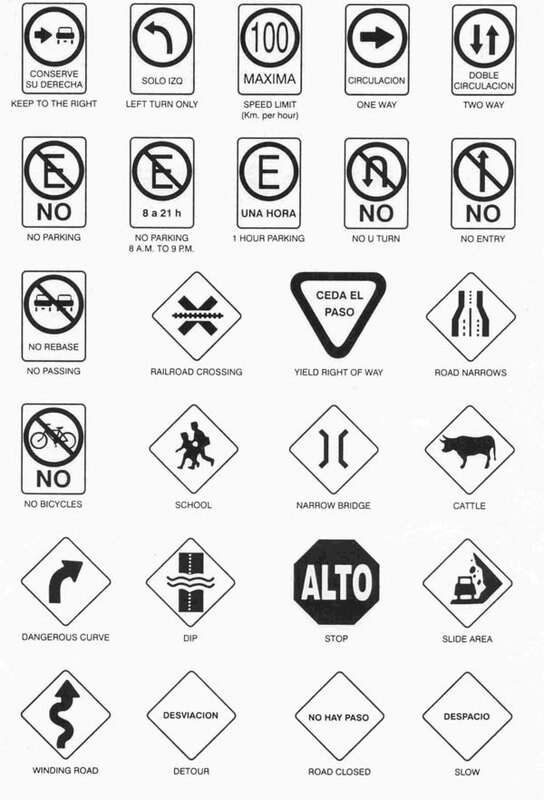 If you have a choice, when Driving into Mexico take toll roads vs. the free ("Libre") roads. Toll roads are much safer. Know your route; if you get lost, don't wander. Pull over and get oriented. Petroleos Mexicanos (PEMEX) is Mexico's state-owned, nationalized petroleum company. PEMEX is now the sole supplier of all commercial gasoline (petrol/diesel) stations in Mexico. All petrol stations, although labeled PEMEX, are concessions that are strictly full-service. PEMEX accepts Mexican Pesos and U.S. Dollars and fills vehicles in liters. Credit cards are not accepted. Therefore, American tourists who drive in Mexico do not have to exchange U.S. Dollars for Mexican Pesos to gas up in Mexico. While Driving Into Mexico make sure the fuel pump is set to $0.00 when you begin fueling. Also, pay attention to how much change you should receive in return when paying for your fuel. Gas station attendants have been known to intentionally give tourists the incorrect amount of change. Gasoline is sold in litres (1 gallon = 3.79 liters).